It’s not actually news, many would agree, but good to know someone in bioethics has said this in print and that it seems others are paying attention. Many ethics review board members have been grappling with concerns as well as exciting new frontiers in the area of Internet-based research for a few years now. I have about six different versions of a presentation on the ethical considerations of Internet-based research, the oldest one dating from 2008. Those in research ethics have been talking about this for a few years now. It wasn’t until the Facebook Cornell “emotion contagion” study, it seems, that other people in bioethics started paying attention and asking the questions. What does it mean to be a participant? Should a virtual participant be treated similarly to a face-to-face participant? When and how should an informed consent process take place? Should the ethical standards we apply to face-to-face research apply in a virtual context? If so, how does that work? The authors of the paper have chosen to focus, or at least begin the discussion of ethics in online research with the idea of the “large-scale social computing research” studies, citing growing public interest and concern. They also ask a number of the questions I’ve posed above to begin to guide their discussions and exploration into this topic. The press release highlights a number of the recommendations from the paper (which is still embargoed, so not yet available in full text, to me). They recommend that there needs to be inclusion of clear language in guidelines about what types of online research should be categorized as research involving human participants – and thus subject to a process of ethics review and oversight. Additionally, the way that we traditionally approach informed consent needs to be reconsidered in light of and in response to the challenges of online participation. Traditional approaches to and templates for informed consent simply don’t work in a virtual environment. The authors here identify research ethics concerns that are not unique to internet-based research and that, in part, really don’t address the lack of smart, relevant guidelines in this area. They recommend that journals should act as a final and independent evaluator in deciding if a research project has been carried out with ethical soundness. That’s a great aspiration – for sure – but it’s important to remember that if we do claim that this should happen, most editorial boards and/or editors are now going to have to not only be well versed in research ethics, but also on the application of research ethics guidelines to internet-based research, which comes in many forms and types. And this of course then applies to reviewers. The burden of ensuring that internet-based research is carried out with ethical soundness lies with the researchers and ethics review boards. This then suggests that there not only be clear, relevant and explicit guidelines, but that there are also plenty of opportunities for conversations between researchers who are involved in internet-based research and ethics review boards. They also identify that public-private collaboration is often a key part of Internet-based research initiatives and the collection of vast amounts of information and that these kinds of collaborations should not be viewed in a kind of knee-jerk negative way, but that this should provide opportunity and incentive for researchers. Finally, they state that geography and politics has an impact upon online interaction and that there is a lack of clarity regarding jurisdictional and relevant legal precedents. This lack of clarity may well provide a barrier to researchers getting approval for all kinds of projects, not just those carried out in an online environment, although it is fair to acknowledge that the online element may provide additional sources of confusion. First, it’s not just about “big data” and large-scale research. 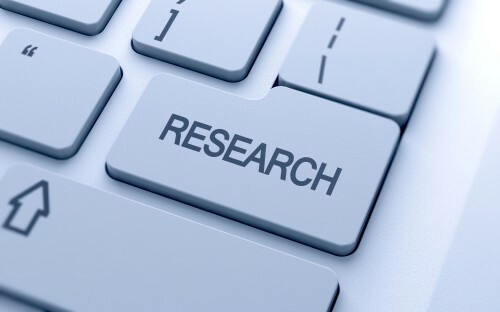 We need to think carefully in research ethics about how we consider internet-based research within our much more traditional paradigm for ethics review – which assumes a kind of relationship between participant and researcher that more often than not, does not occur in many types of internet-based research. So while it’s definitely a good starting point to consider the questions we need to ask within the context of large-scale research, we also must acknowledge the fact that many ethics review boards are reading much smaller scale proposals involving Internet-based research and are seriously grappling with how to apply traditional guidelines to funky new research studies in an online environment. We also need to remember the fact that research in an online environment is just as diverse in terms of methods and aims as research in the F2F world context. Creating one-size-fits-all ‘Internet research guidelines’ based on large-scale research studies will not be adequate to reflect the varying kinds of research activity that goes on, in an online environment. Many research ethics guidelines are dynamic and have evolved over the years to better reflect new, emerging and innovative methods and methodologies. We’ve learned from this that a “one-size-fits-all” approach to ethics review doesn’t work – and I can confidently say that it very likely won’t work in the development of guidelines for Internet-based research – so let’s make sure we approach this exercise with that in mind. Second, we need to consider that not only do we need to think about and develop guidelines for internet-based research, but we also should acknowledge that in many cases, children, adolescents and youth will be approached to take part in research in a online environment, rather than through more traditional F2F means. It is, of course, one interesting and compelling way to recruit and attract participants who are more likely to be digital natives, and who may be far more comfortable, as a cohort, with the notion of a fully integrated digital self. Many ethics review boards already treat research proposals involving children and youth quite differently, appropriately, and I’m not suggesting that should change. But we may find that what many ethics review board members are uncomfortable with in internet-based research, some young participants are perfectly acclimatized to, without worry or concern. This leads me to my third point here – it’s not just about the guidelines. And it shouldn’t be. It’s also about building capacity in the world of research ethics in the area of internet-based research. It means thinking about who sits around the table as members of an ethics review board and the more urgent imperative to ensure that someone with knowledge of this area is included in the membership of boards. In Canada, we have a membership and composition requirements that include an imperative to ensure that the membership includes those with expertise in ethics and in the areas of relevant law. On ethics review boards I’ve been on, we’ve already been thinking about other kinds of representation that there needs to be around the table. One such consideration might be to have someone with expertise in the methods, variations and ethics of Internet-based research. It will be interesting to read the full article, and to see what happens in terms of next steps. I think many people who are active in the area of research ethics at all kinds of institutions with a wide variety of expertise in this area are already well beyond thinking that this conversation needs to begin, and hopefully a diverse representation of people with this expertise and experience will be invited to the table. ~ by Nancy Walton on September 16, 2014.